Men and women sometimes need to build or reshape the appearance of their breasts. Men can sometimes develop enlarged breasts on one or both sides, while women may require breast reconstruction due to mastectomy. 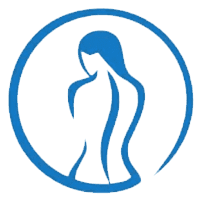 At Sterling Plastic & Reconstructive Surgery, PA in Sarasota, Florida, Dr. Mark Mathieson offers treatment, including surgery and liposuction, to help patients get the breast shape they desire. Call the office or book online for more information about breast reconstruction and gynecomastia treatment. What is female breast reconstruction? A woman who’s undergone a mastectomy or other breast surgery due to breast cancer or another disease may seek reconstructive surgery to create a natural-looking breast. Depending on your desired results and your surgical process, Dr. Mathieson may do the reconstructive surgery at the time of the original mastectomy or later after chemotherapy and radiation are complete. What options for female breast reconstruction are available? Dr. Mathieson reconstructs the breast using several different methods, depending on your breast size, health, shape, and desired look. The procedure may use tissue expanders, implants, and/or muscle flaps. Dr. Mathieson works with you and your mastectomy surgeon to determine what options are best for you. You may also elect to have the opposite breast reconstructed so it matches. Why should I consider gynecomastia surgery and what is it? Enlarged male breasts due to hormones, aging, or certain medications, can make you feel self-conscious about your appearance. Surgery helps remove excess fat and glandular tissue to reveal a flatter, more masculine chest contour. chest. Small cannulas are inserted and the fat is suctioned out with a vacuum device. If you have notable glandular tissue along with excess fat causing your gynecomastia, Dr. Mathieson may also recommend surgery to remove the excess tissue. Following the surgery, you may feel confident going shirtless for the first time in years. What is a “daddy do-over”? trim excess skin and fat from the torso area to reveal a smoother, more svelte physique. For more information about breast reconstruction for women or male breast reduction, contact Sterling Plastic & Reconstructive Surgery to find out your treatment options. Call the office or book an appointment using the online tool.